The famous house of prostitution known as Jinpuro (Nectarine) or No. 9, in Yokohama, Kanagawa Prefecture. Prostitutes are standing in the windows and a jinrikisha is parked in front. 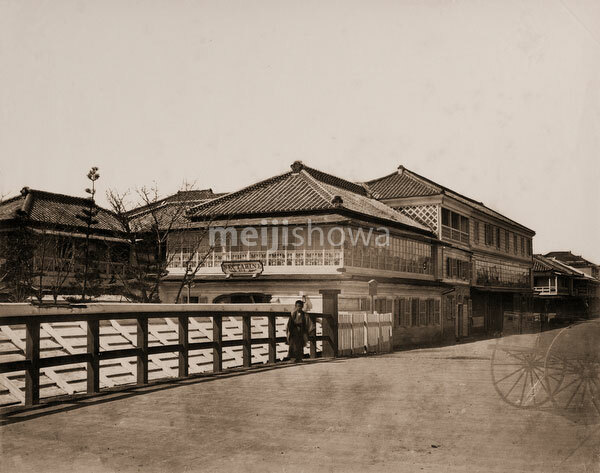 This is the location in Takashima-cho 2-chome (高島町2丁目) where it was located from 1871 (Meiji 4) to 1885 (Meiji 15).